Candy Land Theme Party Planner . Candies, sweets and chocolates are valuable things in a child’s world. It always lights up their eyes and makes their entire day. 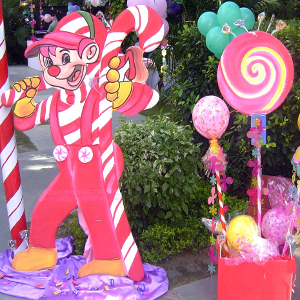 A candy land theme party will make child’s day special. Hence give your little sweet girl a birthday that she will never forget. 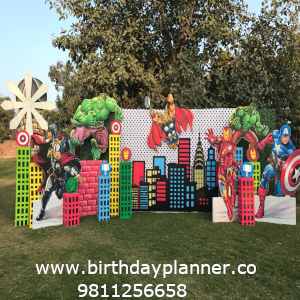 Therefore we make your child’s birthday celebration come alive with a complete selection of candy land theme party decoration accessories. 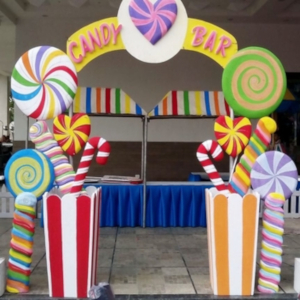 Therefore we use bright balloon pops, cellophane wrapped wall candy and a game inspired pathway like sugar trail for party..An important element in throwing a successful candy land theme party is its visuals. Big bowls of candy everywhere. Giant lollipops in the entrance. Jellybean raindrops and many more..
Decorate the floor of the party area to like the candy land board game. Have the adults at the party dress like candy land characters to match the theme. Set up the tables in stations for games or food and label them as lollipop woods, gingerbread plum trees, gumdrops mountain and lot more.. Furthermore accent each place setting with rainbow fruit snacks, candy bars and other vibrant snacks.We have simply hysterical games for the kids to keep them entertained like chocolate bar race, ginger bread plum trees in which will decorate their own ginger bread cookies and many more. Similarly in addition to traditional favorites of children like pizza, chicken fingers, hamburgers or hot dogs, we add some candy land theme food into the mix like candy apples, rainbow cake, cotton candy and even more. candy land theme party planner. Finally thanks your guests for coming to your candy land theme party with many party favors ideas like stickers, lollipops, markers or crayons with coloring colors, candy necklaces and rings and lot more. So we use fun layering colored skittles in recycled bottles to make it a yummy favor for the kids to take home. We celebrate your child’s birthday with great detail. 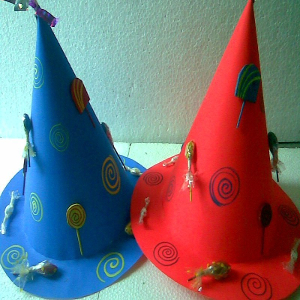 candy land theme party ideas. 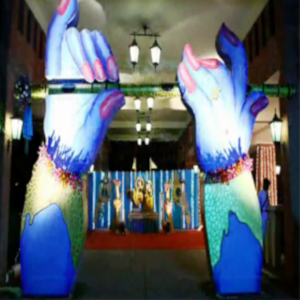 Hence to make your candy land theme party easier, smarter, quicker and successful simply give us an opportunity that your guests will remember forever. Candy Land Theme Party Planner. 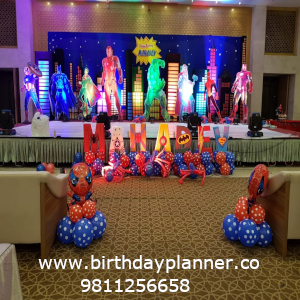 Some related theme are Krishna Theme Party , Superhero Theme Party , Superman Theme Party and many more..